This week on the ALLSORTS challenge it is a masculine theme and I must admit I do like doing male cards. I love how they can be no fuss just plain and simple . Well this one does have a fussy kind of stamping on it I must admit,but it is for my great nephew who will be fourteen next month and at that age they are into game boxes etc so when I saw this paper smooches stamp set it was a no brainer! 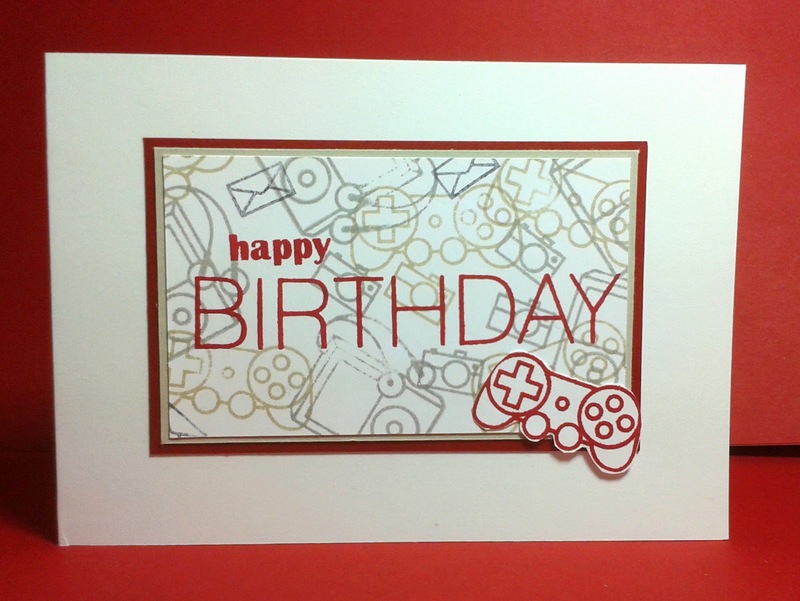 Stamped some of the images as a background then stamped a small SU happy and a Uniko Studio large birthday sentiment on top before fussy cutting out the controller image . Fabulous card, lovely simple design!